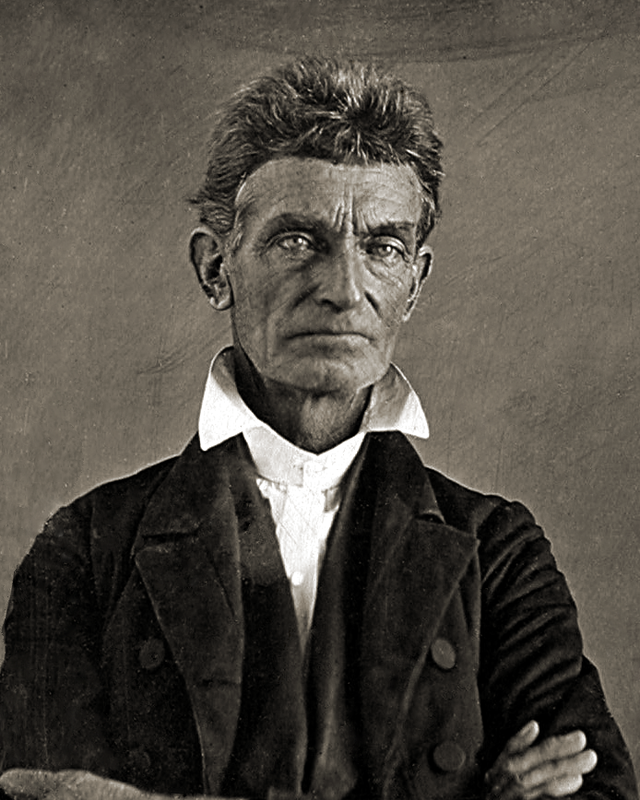 With John Brown now in Kansas, we should take a look quick look at the wider picture. 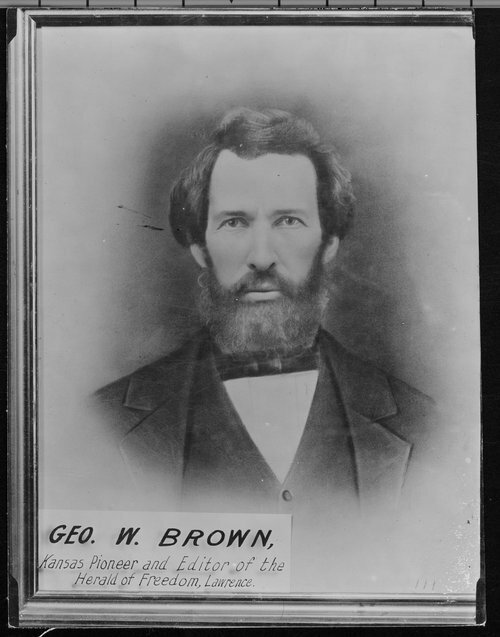 Brown discovered his family’s miserable state on October 7, 1855. By then the free state movement had already gotten going in earnest, following the dismissal of Andrew Reeder and his replacement by the more reliably proslavery Wilson Shannon. That and the bogus legislature’s draconian slave code about did it for most Kansans, even many who otherwise cared little about slavery either way. They came together at Lawrence and Big Springs to reject their illegitimate government and form a new one. The Lawrence conventions, two which happened simultaneously, gathered in mid-August. John Junior turned up for the more radical one, news which his father must have both expected and taken some satisfaction in. He had enough pull to score a post on the business committee that recommended the call for a constitutional convention at Topeka. 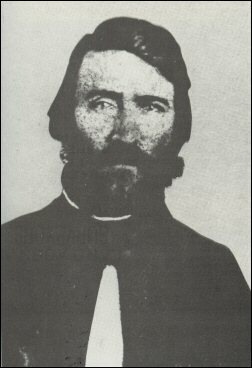 Big Springs made him a member of the territorial executive committee that oversaw free state elections. If any free person, by speaking or writing, assert or maintain that persons have not the right to hold slaves in this territory, or shall introduce into this Territory print, publish, write, circulate, or cause to be introduced into this Territory, written, printed, published, or circulated in this Territory, any book, paper, magazine, pamphlet, or circular, obtaining any denial of the right of persons to hold slaves in this Territory, such person shall be deemed guilty of felony, and punished by imprisonment at hard labor for a term of not less than two years. If any officer should attempt to arrest me for a violation of the law, and should put his villainous hands on me, I would surely kill him, so help me god. He wrote this to his stepmother. His wife added to it her expectation that they would all get shot for breaking the laws but given the choice between freezing to death and a quick bullet for a good cause, she preferred the latter. All that happened in mid-September, before the storms and sickness that must have considerably dampened the Browns’ political enthusiasm. On his arrival and learning all this, John Brown the elder resolved that none of his sons would catch a bullet for breaking those laws. Nor would any proslavery man meddle in the free state elections. The Browns did not have the best of neighbors down by Osawatomie. They annoyed posterity by settling near that town, then performing their most conspicuous historical act before 1859 on the near by Pottawatomie, but they could keep it straight. They objected in the main to belligerent proslavery men living nearby. Rude at best and likely drunkards or worse, at least in antislavery rumor, people like the Sherman brothers and Allen Wilkinson made the area decidedly unwelcoming. Of course, their neighbors had gripes of their own. The Browns spent too much time sick and shivering to become nuisances even if inclined, but at least one local antislavery man had a vicious reputation as an eager brawler. Decades later, Salmon Brown told Oswald Garrison Villard (PDF) -a founding member of the NAACP and William Lloyd Garrison’s grandson as well as a John Brown biographer- that Theodore Weiner was a “big, savage, bloodthirsty Austrian” and “could not be kept out of any accessible fight.” Wiener would go with Brown to visit some of those proslavery neighbors in 1856. The community here are very nearly united on the free-state question. But the majority would dislike and resent being called abolitionists. . . . Our community here are mostly Western people, some from Slave States. There is a prevailing sentiment against admitting negroes into the territory at all, slave or free. The Western people find much such a country as they left behind them, and settle right down, build their cabins, fence and break up their fields and drop their corn, before you hardly know they are here. They have a strong instinct against slavery, do not want it about them, but lack the strong moral sense of its injustice which we feel. That made them typical westerners and western men predominated in Kansas; the territorial census of 1855 found fully 83% of white Kansans hailed from points rather nearer the territory than Massachusetts or New York. That our informants tend to hail from the Northeast and had a more moral condemnation of slavery makes it easy to forget that. Many who did come from the Northeast found that the Emigrant Aid Company badly oversold the territory’s amenities and soon went home. Even beside that, people from the Northeast often didn’t know to expect quarrels over land claims and the generally rough situation on the white frontier. If you have more than one key to Uncle Tom, we would be very glad if you could send us one. We could do good with it by lending it. They need light here on that subject. After writing Uncle Tom’s Cabin, Harriet Beecher Stowe faced charges that she made up all the information in it about slavery. Thus she hit the books and produced a second volume arguing for the accuracy of her book. Stowe’s critics had a point; she did the research after the fact. However, she could get it as right as she did partly from being an informed antislavery American before writing the book and possibly with the help of enslaved informants she met while helping them escape Kentucky through her Cincinnati home. The facts might not move Missourians, for whom they couldn’t be news, but maybe they would shake loose a few from the Old Northwest for whom slavery remained something more theoretical. Healthcare.gov is open for business right now. Go get insured. It's on! 2018 ACA enrollment has begun. 80% can find plans under $75/month. Go to https://t.co/nYl9YWdSHm. Gentle readers, because the Trump administration slashed the budget for Affordable Care Act outreach by 90% something like one third of Americans don’t know they can get insurance for themselves and their families right now. The early enrollment rates still look good for this year -better than last, I think- but a third of us don’t know about it. Please spread the word. This post will remain at the top of the page until open enrollment through Healthcare.gov ends on December 15. Some states have extended the deadline and the Obama administration did so as a matter of course, but you probably don’t have until January this year. Don’t let the GOP take away your health care.